Today is a busy day. Assisting the ITD, Eyes on Animals and TSB|AWF are conducting inspections of livestock trucks to check that the animal-welfare legislation is respected, and if not, that it be enforced. The first livestock truck stopped is from a Polish company and is carrying poultry. 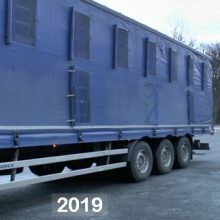 Poultry transports are often very problematic due to the sheer numbers and density, but we are relieved to see that the vehicle has a professional curtain along the sides, suitable to adequately protect the birds from the cold weather. As well, the transport crates are very new. 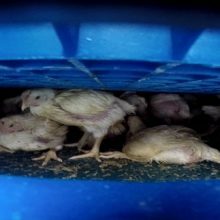 In 2016 we were carrying out joint inspections with the ITD in the same place and the poultry transports from this company were terrible, causing many birds to die en route and fines to be handed out. The official inspectors tell us that soon after these inspections in 2016, this poultry transport company invested in better transport containers and tarps and improved general transport conditions. 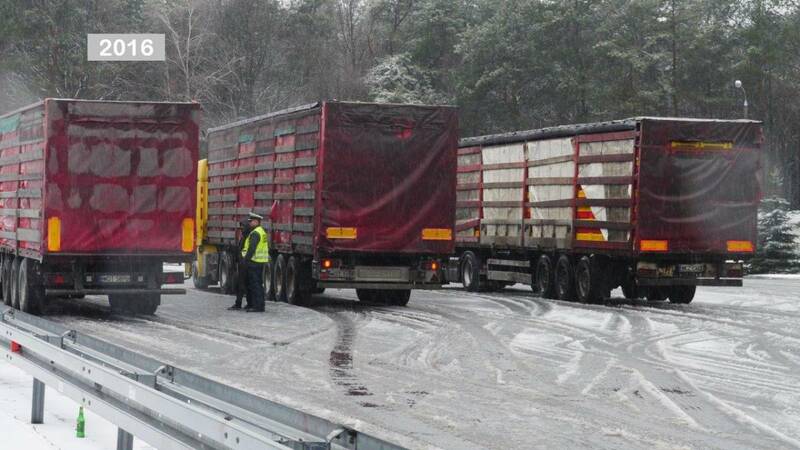 Next, we stop and inspect two trucks carrying cattle on long distance journeys from the Netherlands to Russia. Fortunately one is performed in compliance with the legislative requirements, the other one results only in a warning for the driver.